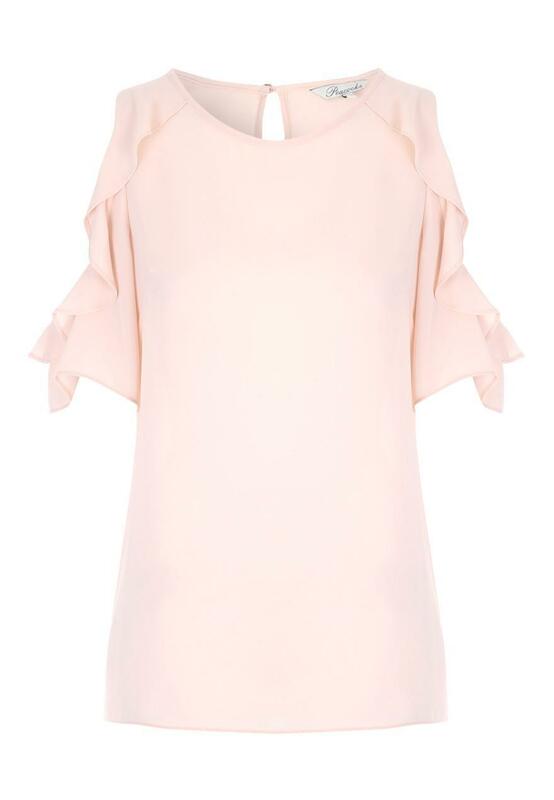 Add a subtle touch of class to your collection of everyday wardrobe essentials with this women's soft, pale pink ruffled top from our collection. 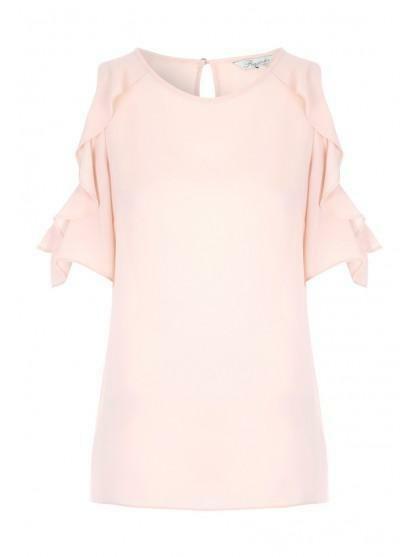 With short sleeves with frilled trim overlay, and a cold shoulder detailed finish. This top can be dressed up or down with ease making it suitable for all occasions.